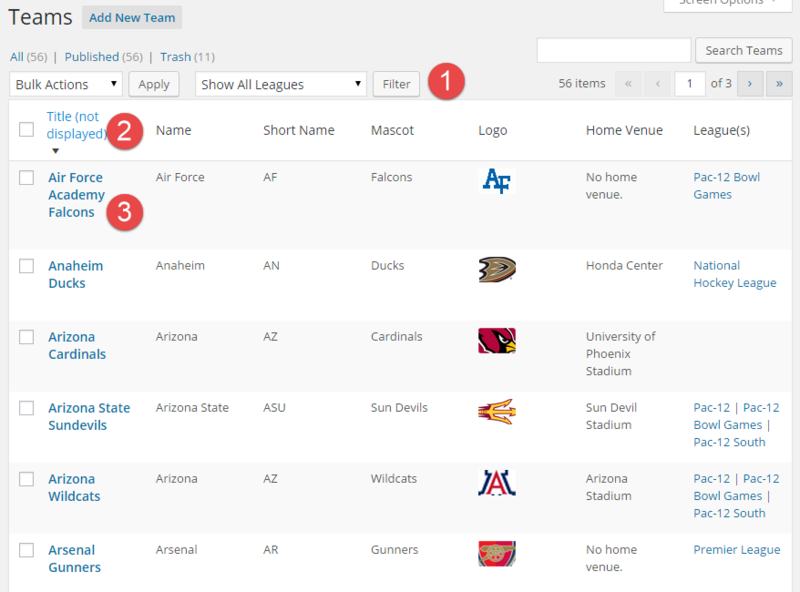 The Teams screen provides a view into, and is the gateway to edit the Teams database. Notes on some of the fields and actions are listed below, and annotated on the screenshot. Leagues Filter. Select a league and press the Filter button to filter what could be a large list of teams down to a single league. Title. The team title does NOT appear on any front end display (shortcode). However, it can be used to sort the Teams table. Click the arrow to sort the list. Click it again to reverse the sort order. Team Name. Click on a team’s name to edit the team on the Edit Team screen.